Filter Elements are available in various media with differing filtration properties, efficiencies ranging from G1 to F9 to EN 779 or alternatively HEPA versions are available. Replacement elements can be produced to suit any new or existing installation. Elements are available as re-usable versions if required, for example the Emflex and Plipad filters can be supplied in cylindrical format and with regular cleaning will give long service life. A full range of caseworks are available with spigots and flanges to suit system specification. 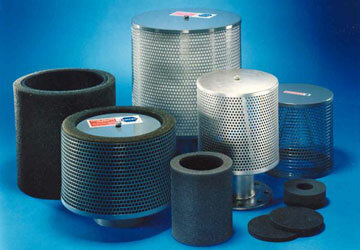 For filtration of submicron particles, EMCEL produce an extensive range of Cylindrical HEPA Filters please click here for further details.